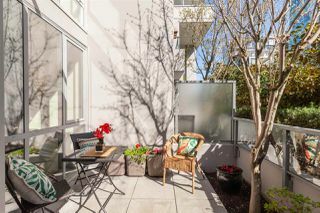 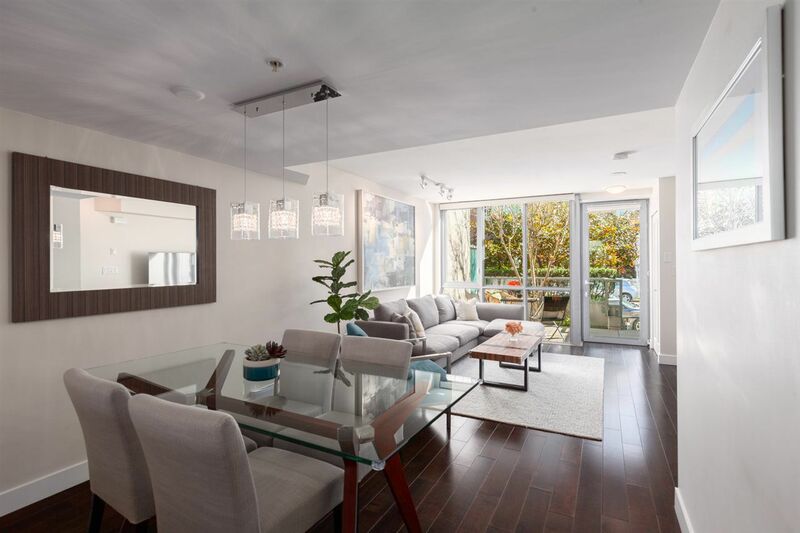 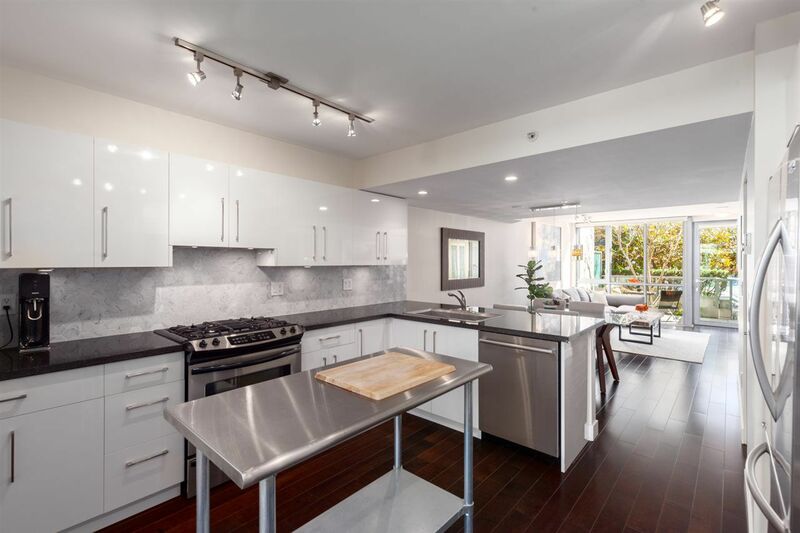 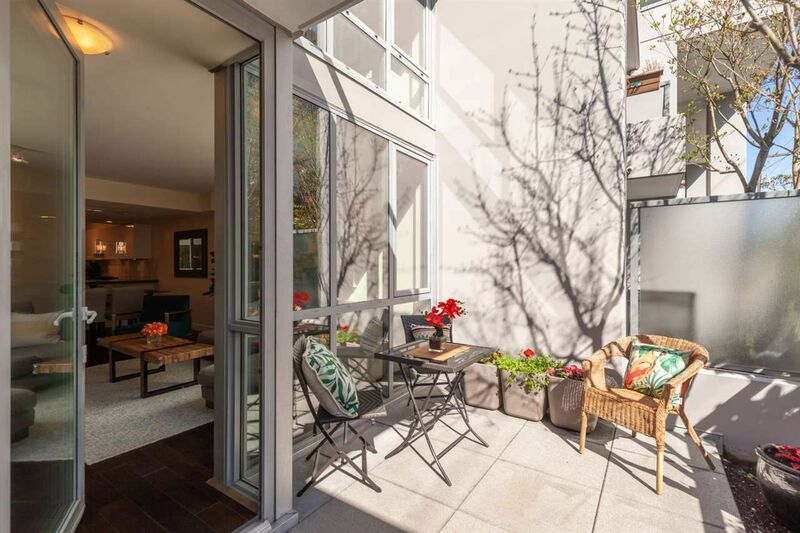 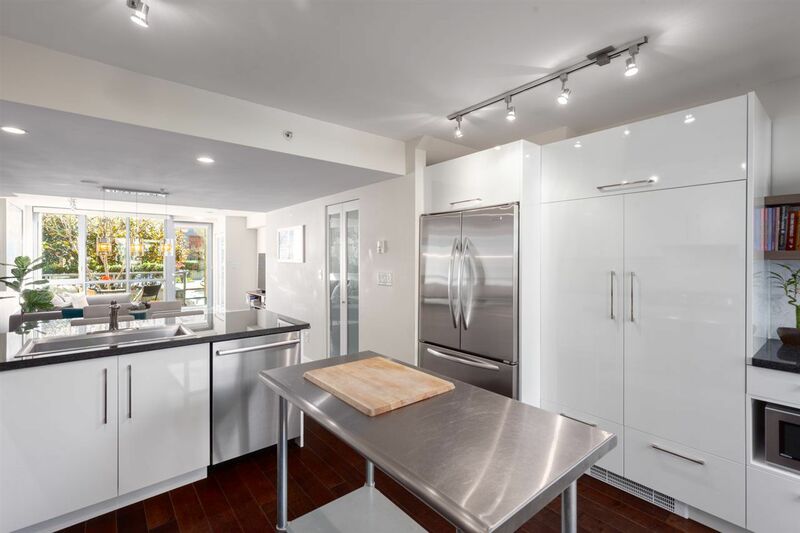 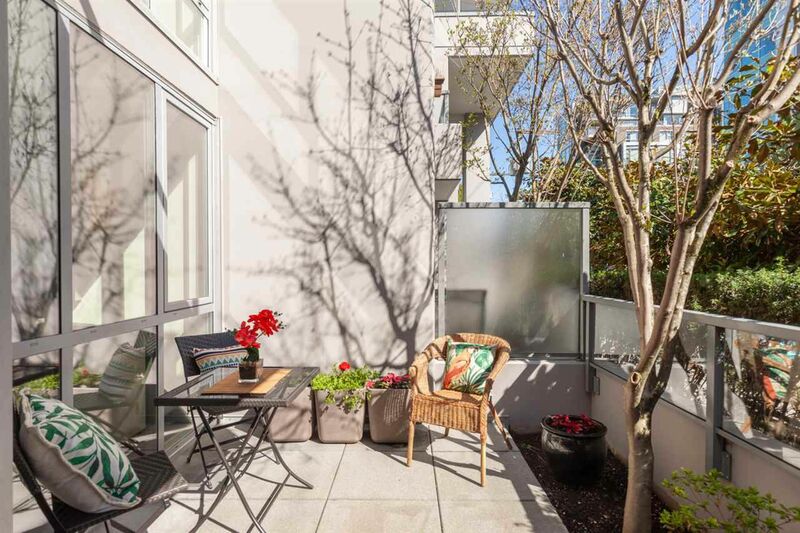 Beautiful & rare, this gem of a concrete townhouse shines on beloved West 7th! 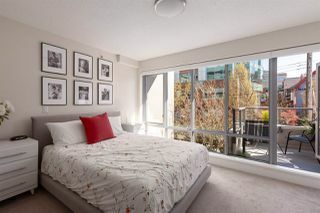 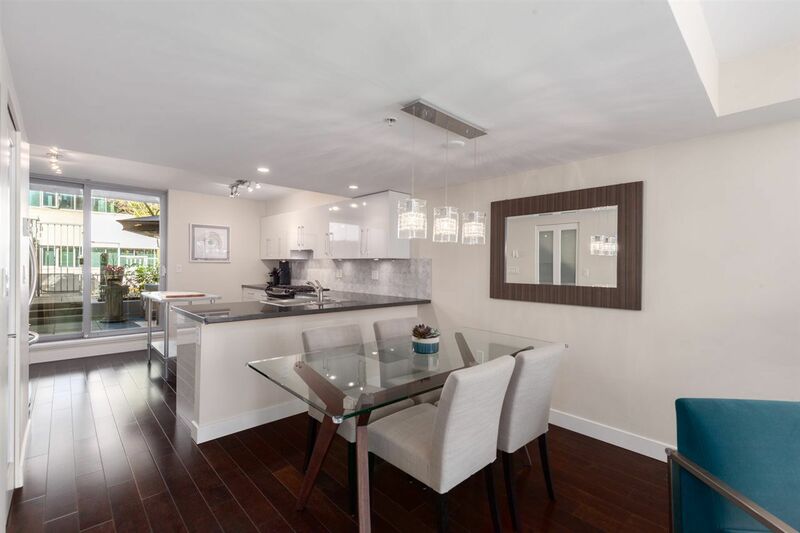 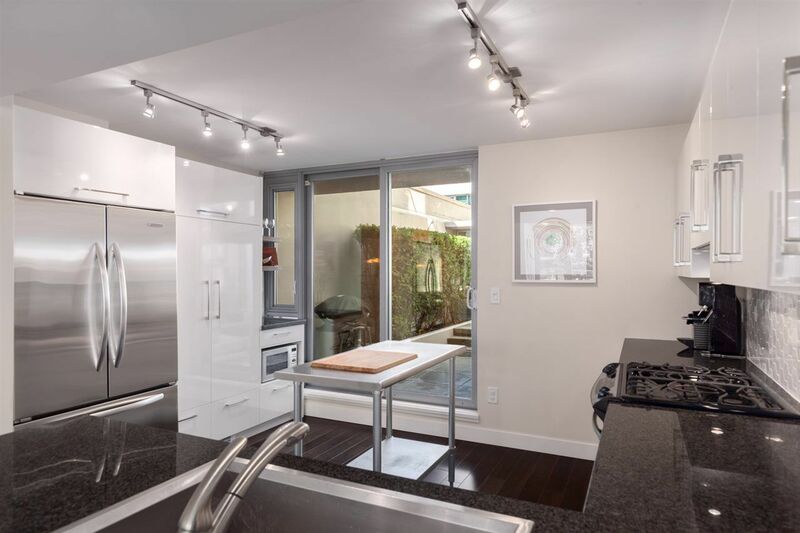 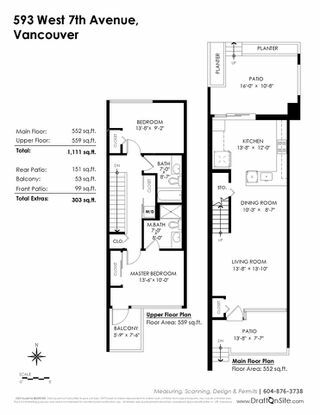 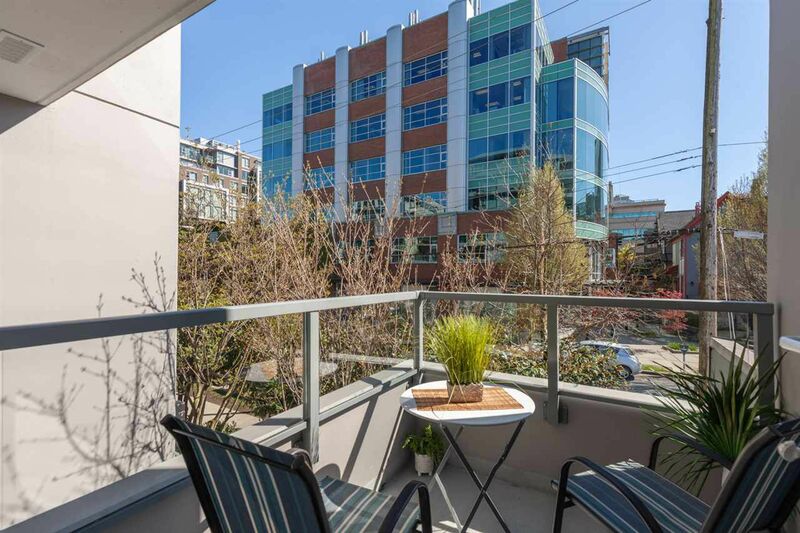 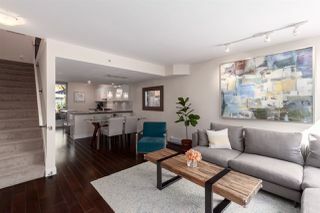 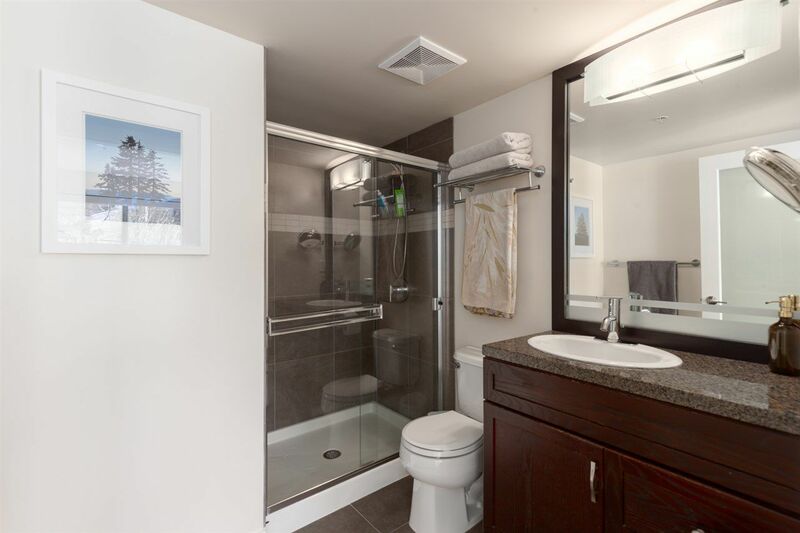 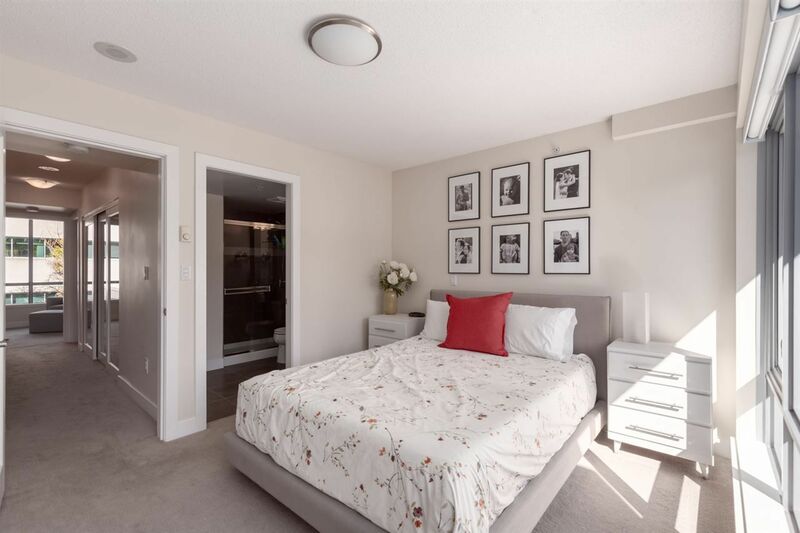 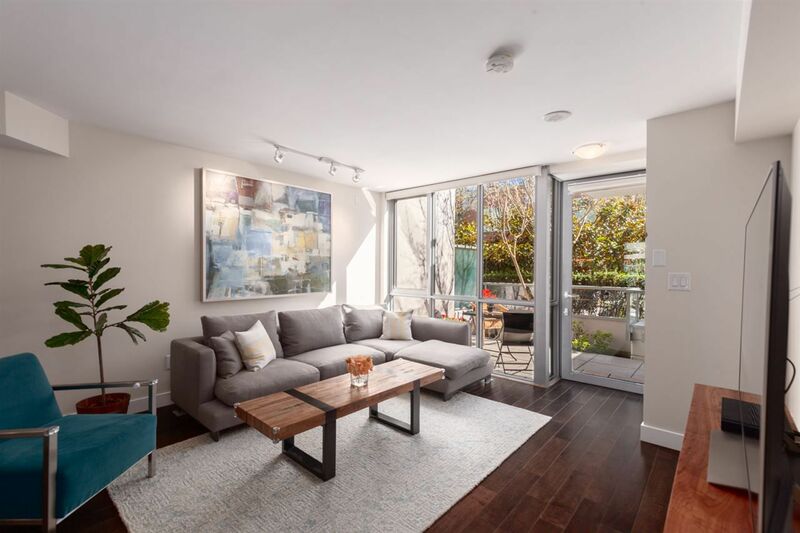 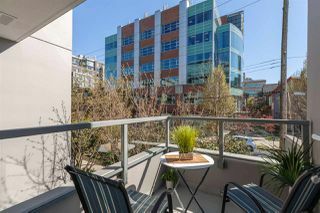 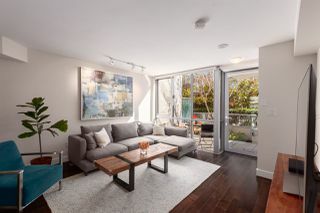 Quietly nestled near vibrant Cambie St, this functional plan offers 2 spacious bedrms & bathrms + 3 lovely, private outdoor spaces. 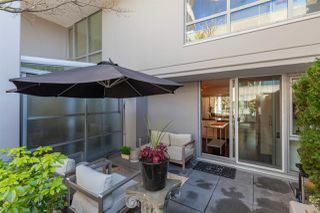 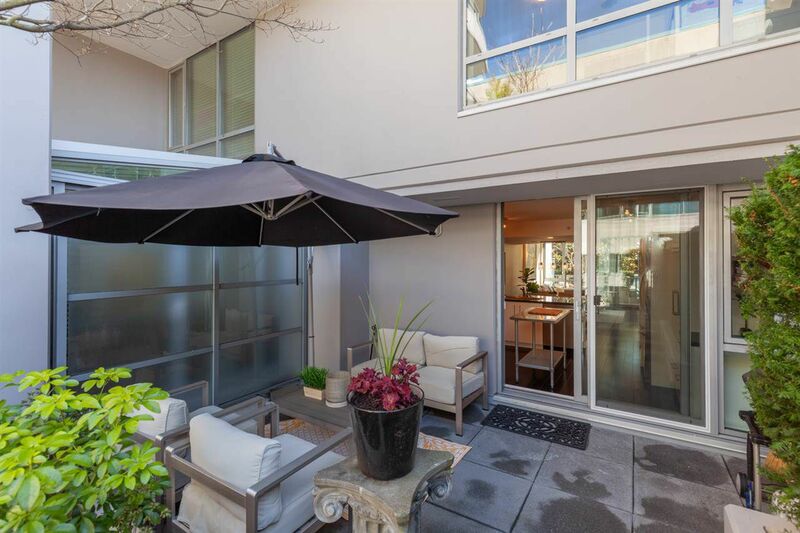 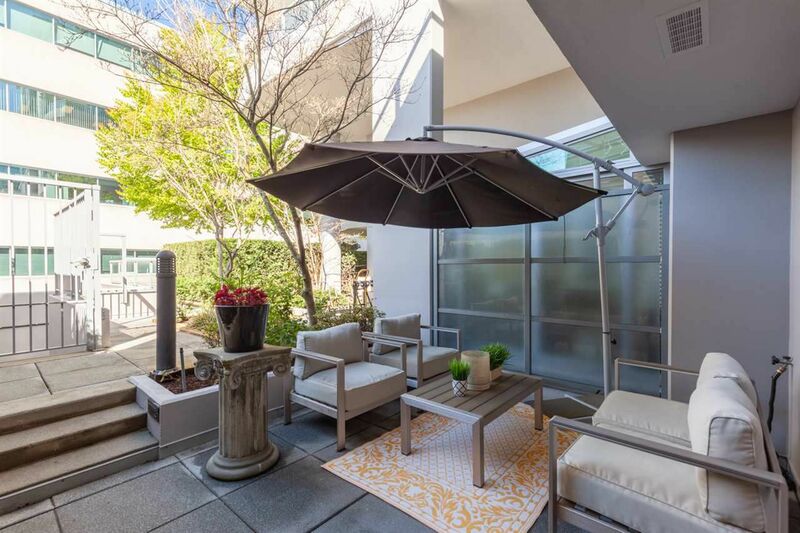 Enter an open main level featuring an airy living space drenched in light, with floor to ceiling glass overlooking the sunny garden patio. The recently updated chef’s kitchen boasts s/s dbl fridge, gas range, custom storage, stone island & access to the cozy back patio. 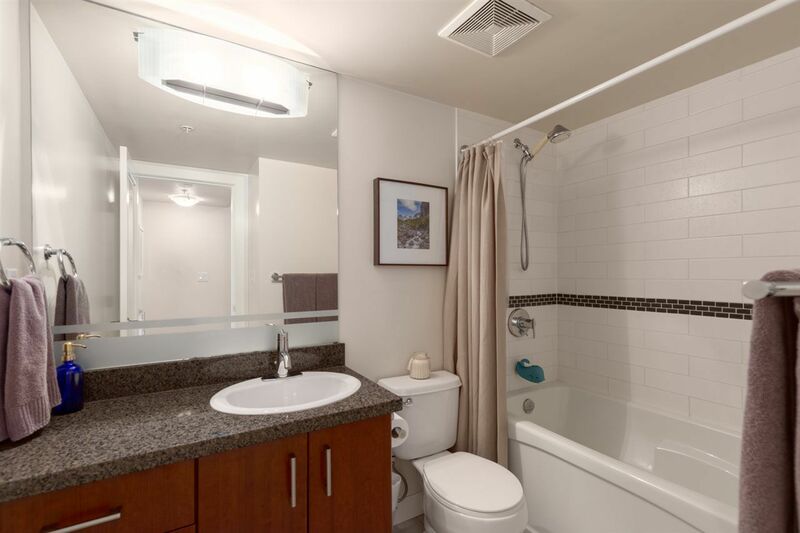 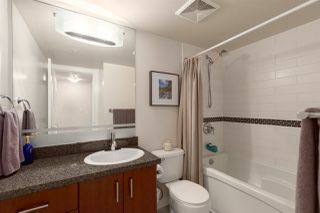 Upstairs, the bedrms are spacious & bright and the master enjoys an ensuite bath & its own balcony. 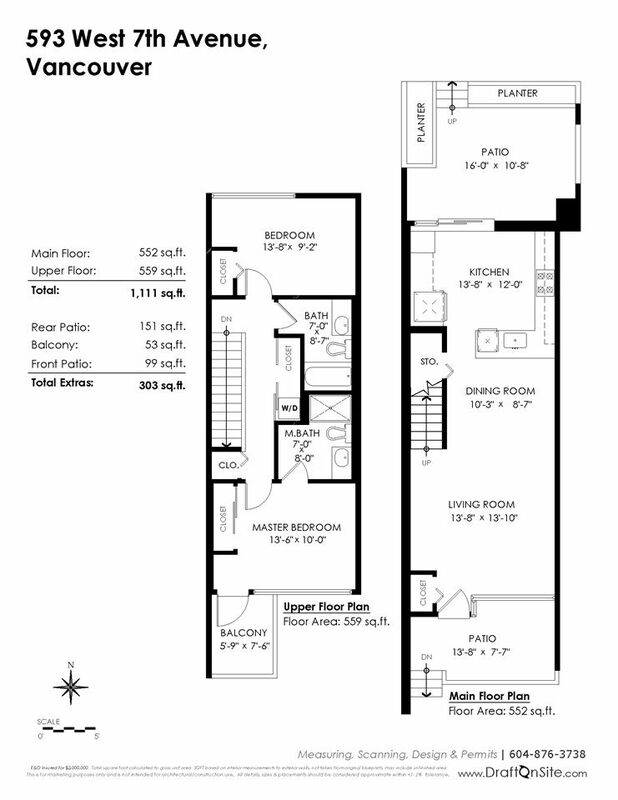 Massive laundry closet, built-in organizers & electric blinds compliment this perfect plan. 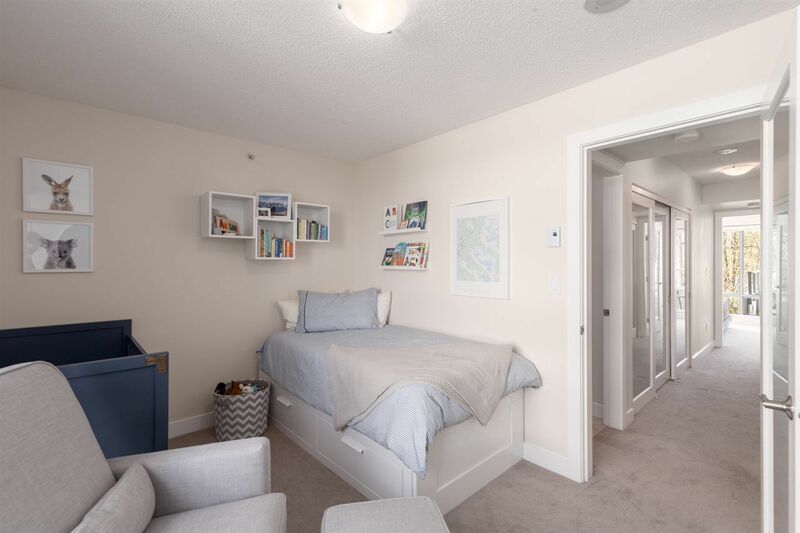 1 underground parking + huge private storage room in stall WOW! Pets/rentals allowed. 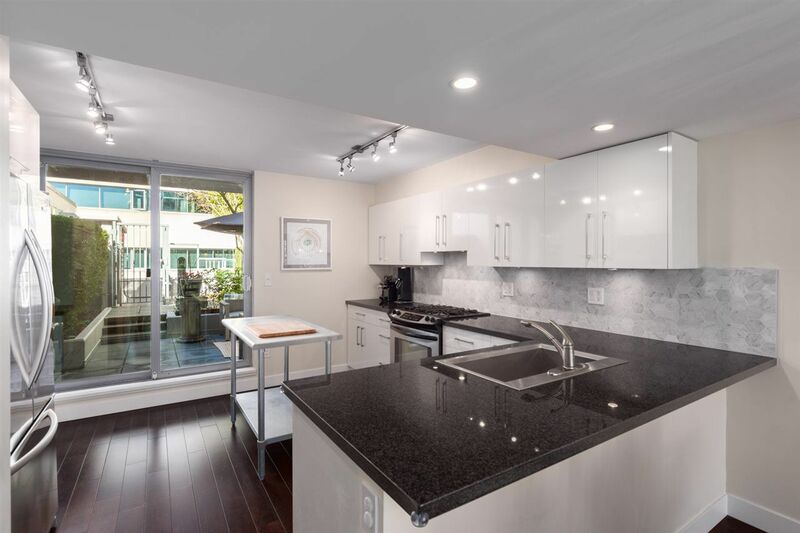 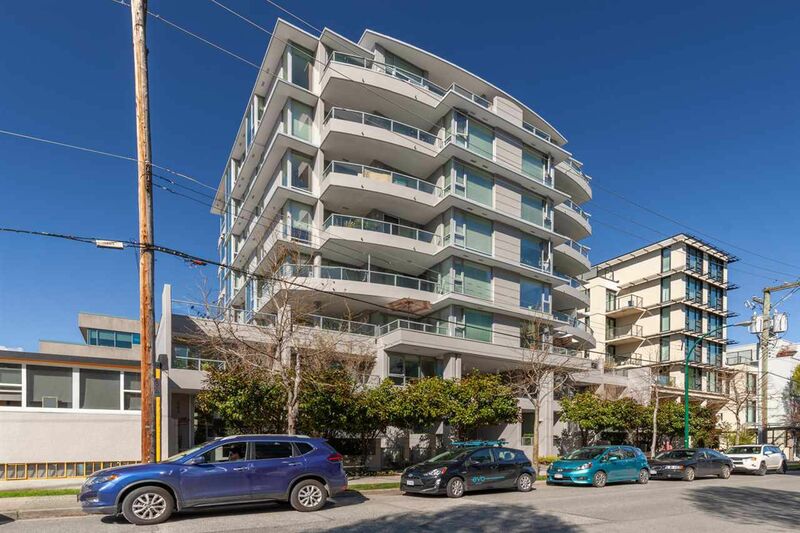 Steps to seawall, skytrain & EVERYTHING! Opens cancelled.